Hello beauties, I am back with another skincare review. I have been more inclined towards skin care for months now though I do love makeup too. 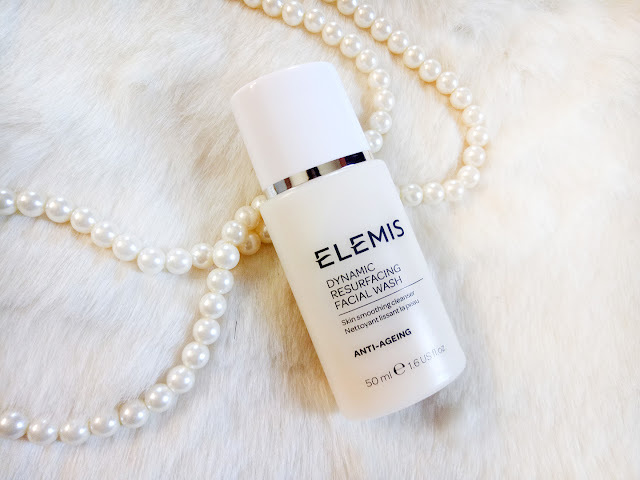 Recently I was testing the Elemis Dynamic Resurfacing Facial Wash and expected it to be . . . well read on and I will tell you the whole story. First let me update you on some facts.The Tri-Enzyme range has been renamed Dynamic Resurfacing. This product was previously called Tri-Enzyme Resurfacing Facial Wash. Now that we know that, let's move on. The packaging of their toners and face washes are very similar and basic. I got the 50ml bottle which is a PR sample but this is available in 200ml. When I read "resurfacing" I was seriously expecting something gritty, scrub like. Instead, the formula turned out to be soft and milky. I wondered, "what is this gonna do? Its so gentle looking". However, I put it to test! Its been two weeks only and it has improved and maintained my skin texture as well as reduced dullness. This is a sneaky little thing! Impressed me a lot. The formula is very gentle on the skin as well as light weight. Smells fresh and feels so good on your skin. This is a great anti aging product as it encourages the skin's natural cell renewal cycle, while smoothing and refining as well as gently exfoliating away dead skin cells. That also, as I mentioned earlier, reduces dullness and results in a healthy, glowing complexion. It is also gentle enough to use every day, morning and night. The KEY is the Revolutionary Patented Tri-Enzyme technology acts as the catalyst in this innovative formulation for safe and effective resurfacing within the skin’s upper layers. Galactoarabinan, a Polysaccharide from the Larch Tree, enhances the non-abrasive exfoliation process, whilst Brazilian Babassu Oil, rich in fatty acids, replenishes moisture levels. Other two great ingredients are Moringa and White Truffle Poria Cocos. Moringa acts as an anti-oxidant and protects skin against environmental damage. White Truffle Poria Cocos helps to soothe and support the microflora of the skin.